Lids (Without Bands) Regular Mouth Ball Mason Box. Excellent product. I always keep extras on hand to ensure I have enough for whenever I decide to preserve something. Remarkably quick delivery and good service. Orchard Road jars are a great alternative. Awesome choice, easily able to compare options from a wide range of brands. Good pricing. Great people do deal with, I use them for all my preserving needs as they have a fast &amp; efficient service! 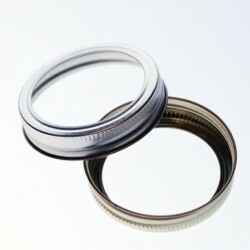 Excellent product, I like to keep lots on hand; excellent seal every time and I reuse old lids for dry canning. I have only recently discovered this product. Prompt service, great communication and very quick delivery to my rural address. Your business model is very smooth and keeps the purchaser well informed of the progress! This is probably one of the best investments I've made, along with the Mason Ball jars. Oz Farmers is a company that I'm happy to deal with repeatedly, delivery is fast, communication good, everything well packed, can't say anything bad. Thank you for your wonderful service. Fantastic lids &amp; they have always sealed. Great piece of mind. I am keeping my used ones as I plan on drilling holes in them &amp; making a mobile to hang in the garden to keep birds etc of my vegetable patch. always handy to have boxes of these seals spare for my mason jars. speedily delivered all the way to me in Perth. thanks Ozfarmer, I'll be back for more jars soon!! I live in Melbourne and if I place an order early in the day I will often receive by PM the following day. Great job Guys. Great product,prompt service and delivery.Good communication and updates on progress by email. Would be wonderful if these could be purchased bulk, like in 50 or 100 . 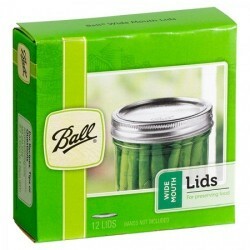 Ball Regular Mouth Lids for preserving fit all regular mouth glass preserving jars. Seal in the freshness and enjoy freshly made foods tonight or tomorrow. Lids should be for one-time use only. Includes 12 lids. Now available as a BPA free version.